Much of your business success is limited directly to the success of the sales team. So doesn’t it make sense to settle for nothing less than a sales team of top performers? Think about all of the time and money you put into all of the different aspects of your business. To be successful we invest time and money into developing the product and service, possibly investing in real estate, developing business processes, investing in marketing and brand building, hiring and training support people. Yet the success of all of these efforts and investments rests with the quality and effectiveness of the salespeople employed to generate revenue. Don’t kid yourself; well trained, professional salespeople generate substantially more revenue. And if you do not measure each salesperson for sales performance, start today. It is simple to conclude that each salesperson except the top performers is costing the company revenue. So, how much revenue are you losing by not employing a sales staff of top performers? Review the following 9 guidelines to build a top performing sales team. 1) Hire for talents and qualifying skills. To build a productive sales team means hiring the best people. The best people will be the ones who possess the right talents. We are all born with innate talents, the things we love to do over and over again because we are naturally good at doing them. To build the best sales team, identify the talents and skills for which to search. Hire salespeople who possess those talents and skills. 3) Provide constant education and updates. Growth in any field cannot take place without a constant effort to improve. 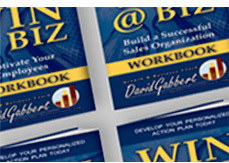 How often do you provide sales strategy books or educational sales articles for your salespeople to read? How often are new sales scripts prepared and discussed to improve results? Do you have efficient methods in place for conveying updates on product information? Remember, top sales teams are built in an environment where learning is ongoing. 4) Role play. If you are not having your sales people role play new sales strategies often, they are not growing their sales skills. Focus on individual problem areas – like opening the sale, uncovering customer needs, selling emotional benefits, uncovering objections, solving objections, how to close. Develop successful scripts for each problem area, practice these scripts in role playing situations, experiment with customers, revise the scripts, practice again until the skill is mastered. 5) Provide the proper tools. In order for salespeople to maximize productivity, they need the proper tools. The “proper tools” will vary from business to business, however, the list could possibly include the following: a sufficient work area, personalized voice and email accounts, personalized business cards and letter heads, professional point of sale literature, professional product based catalogs and websites, props for demonstrations, current pricing and delivery information, updated competitor product information. 6) Measure each individual for performance. What is not measured cannot be improved. Make no mistake about it, sales management is performance management. In order to effectively coach for sales performance -to build a team of top performers – you have to measure the effectiveness of each sales person. Only when management is provided accurate information, can productive coaching to improve the performance of each individual salesperson exist. 7) Provide recognition. Don’t ever underestimate the power of sincere recognition. Mark Twain said, “I can live for two weeks on a good compliment.” People need to feel important and what better way to achieve that objective than to develop a consistent recognition program. Recognition is a meaningful form of motivation. 8) Provide financial incentives to excel. Professional salespeople thrive on financial rewards. Be sure to offer a well- defined sales incentive program. Whether it is commissions on sales, monthly bonuses, or salary increases based on sales performance and customer satisfaction, you must offer some form of incentives to achieve superior results. 9) Move out low producers. It is simple math; low producers are costing the company revenue every time they speak to a customer. Move them out to give another person possessing the appropriate talents and skills an opportunity. A company simply cannot expect to maximize revenue without the effort to build a top performing sales team. 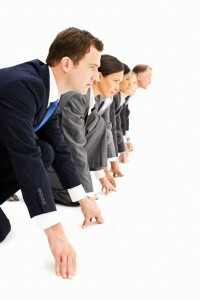 Utilize these 9 guidelines to improve the performance of your sales team today!